Pre and Post Workout Fuel To Get You Fit, Lean, and Sculpted PART 2 - Real Food. Real Fitness. Last week I covered pre-workout fuel. In the 2nd part of this blog series I am covering POST WORKOUT nutrition. Your post workout meal is IMPORTANT and can make or break all your training efforts! Whether you are doing cardio, HIIT, or intense weight training you have got to be spot on with food selection to repair and rebuild your muscles. This will improve strength, endurance, and overall athletic performance. Plus create those lean defined muscles we work hard for! When is the best time to eat after a workout? Ideally you want to eat 30-45 minutes after a workout. Research shows that within this time frame is the best opportunity to transport nutrients, amino acids, and glycogen to help repair your damaged muscles and recover from your workout. Not eating or waiting too long to eat after your intense workout significantly diminishes the chances that your muscles will be able to repair themselves and get bigger and stronger. I like to eat what I call a quick recovery meal post workout and then eat again 2-3 hours later. I work out in the morning usually in a fasted state or with something very small like a banana. Right after my workout I make a clean protein shake full of healthy carbs, protein, and fats (whey protein, raw milk or Amasai cultured milk,berries,coconut manna.) Then 2-3 hours after that I will have lunch. Usually a big greens salad with clean protein such as hardboiled pastured egg on top and some healthy fat such as raw pumpkin seeds. My dinner is a primal/paleo meal and any snacks are usually fruits/veggies and healthy fats such as nut butter or raw cheese. Post workout nutrition is not just what you eat right after your workout. 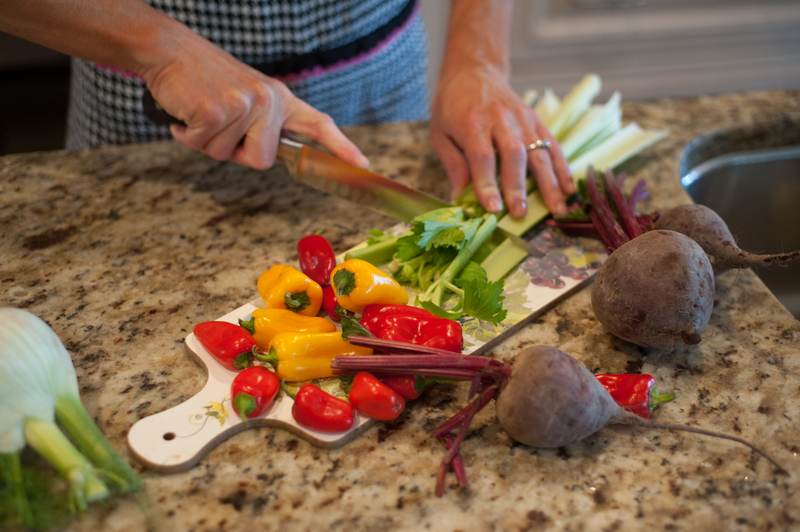 It’s eating clean throughout the day to set up a powerhouse in your body for the next day’s workout! What is the best post workout meal? This does depend on the workout you are doing. Intense cardio, HIIT, and weight training are what I am focusing on here. After these types of workouts you want to eat protein and a starchy carbohydrate plus some healthy fat. Some examples include a spinach salad with avocado and organic pastured chicken or a clean grass fed plain whey protein powder mixed with banana and chia seeds. 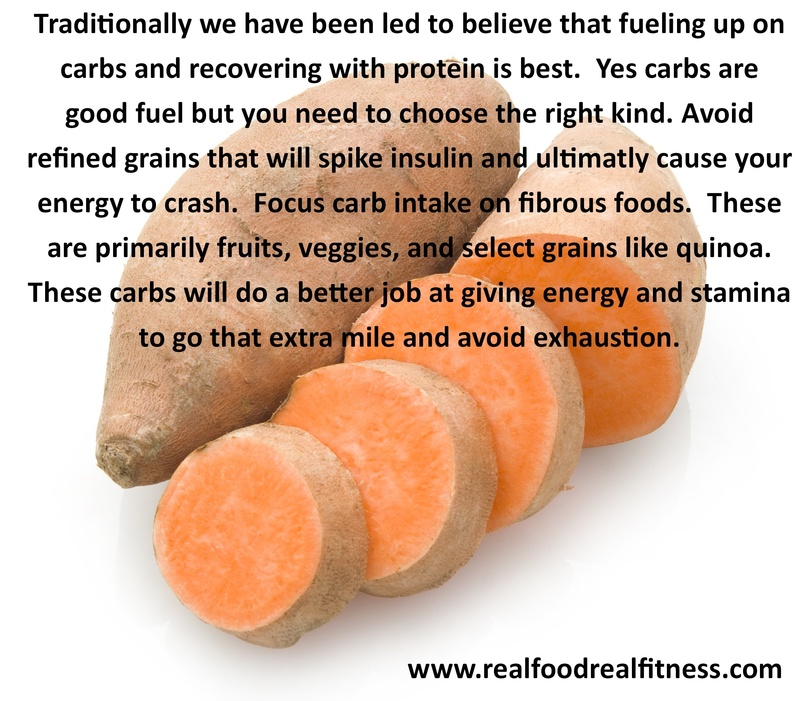 If you’re like most people even many athletes you are eating too many carbs (in the form of grains) pre and post workout. When you consume more than you need your body turns it into fat, plain and simple! Focus should be on clean protein, starchy carbs in the form of fruit and veggies, and healthy fats such as avocados, pastured butter, coconut oil, and eggs. Just remember exercise and diet go hand in hand when it comes to reaching optimal health. Neglecting your diet and expecting exercise to make up for it is a dangerous cycle that you will never get ahead of. Weight loss efforts will plateau as will exercise performance. Paying attention to pre and post workout meals as well as cleaning up your entire diet will pay off in the weight loss department, lean muscle definition, and improved endurance/athletic performance!